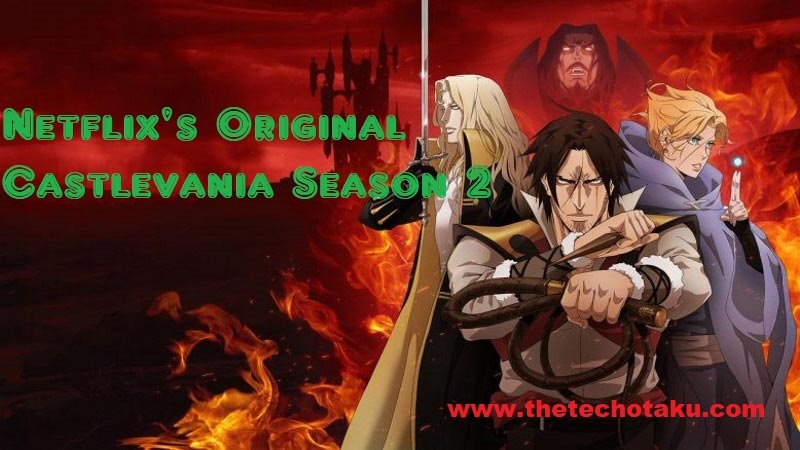 Netflix’s Castlevania Season 2 Premieres Summer 2018: I hope you have heard about this game Castlevania and thus this is now as an Anime series. Anime has successfully done with its season 1 and now going to make Castlevania Season 2. This Netflix’s Castlevania is one of the most popular anime series which are streamed in world. As I mentioned the name Netflix, it will be released in Netflix and will be available for audience all game. Possibly if you’re a game and would love to stream horror movies then this anime is best for you. The main lead that is a play will be going across many traps laid for Dracula’s and then few deadly monsters to. Anime is going to be best with its season 2 as well once its released date is confirmed. 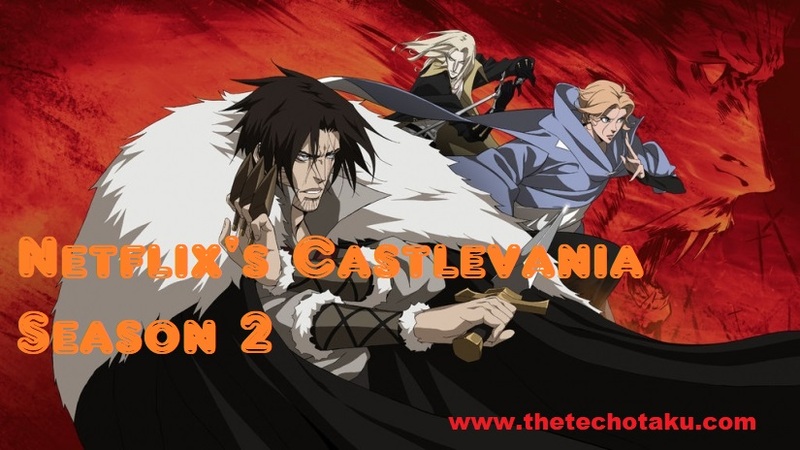 In Plot I have given clear details about the Castlevania Anime which would help you to remember its story and for new viewers it will give an idea about the anime. As like anyone gaming series this anime also has a motto to bring peace in world and thus play on their way to do so. Anime has received good response form viewers as being a 3 decades old gaming platform still has great followers. Production had diffenret plans with this Castlevania but they ended up making an Anime series. Let’s get more details and updates on Netflix Castlevania Season 2 Release date form below. The Story of Castlevania is based on monster and Dracula who are in way to spoil the world. The main lead of the series will use the Belmont Clan generation which alarms when a Dracula rises from Grave. Player once an alarm is raised will be on his way to defeat him and bring peace. Doing this isn’t easy as at each and every step of castle there are traps and monster waiting for him. Here pair is known as vampire killer and thus armed with well equipped tools. In Castlevania Season 2 player will be facing main man itself behind this seen. Netflix’s Castlevania Season 1 was full about fighting with Dracula and coming across monster but in season 2 it is going to be deeper. So wait for it as there is more interesting stuff hidden in coming season of Castlevania. The warren Ellis has made a confirmation about the release of Castlevania Season 2 recently. So it is clear that season 2 is going come on air very son and release date is un-expected. Mostly it is supposed in 2018 summary the series may premier its season 2. This time it is going to take your more time as Castlevania Season 2 will be coming with 8 episodes instead of 4 as like season 1. All this to Ellis who is taking initiative about this and making its season 2 happen soon. If you read about past, Castlevania Anime was supposed to be bought in 2008 but due to some issues it was delayed and the Warren Ellis took it in 2015 for review and got it formatted last year. Castlevania Season 2 Release Date is Summary 2018 and thus viewers must book their scheduled form now. Make sure you don’t miss the episodes of it and also make your time as there are few more interesting Anime series coming this year. Get a list of popular and most recent anime series from our official page.